The Professional Squash Association (PSA), the organisation that promotes men’s professional squash, and Total Sports Asia (TSA), a leading international sports marketing agency, have joined forces to produce and distribute the television production of Professional Men’s Squash Tour worldwide starting with the 2010 edition. 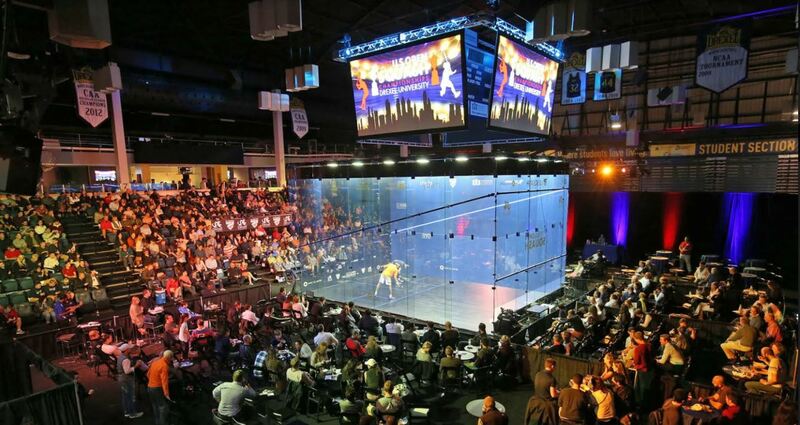 The move, which follows PSA’s recent announcement that it is to launch internet TV, is part of the organisation’s drive to increase access to squash and open the game up to new audiences. Sunset & Vine (S+V) is also part of the partnership and will lend its production and distribution expertise to the venture. The new partnership will see TSA and S&V produce, for the first time, live television coverage of all major Tour events from the semi-final stage onwards. In addition, new production elements including innovative camera angles, improved graphics, speed gun tracking and virtual signage technology will be explored. Marcus Luer, Group CEO of TSA, said: “We are extremely excited about the opportunity to work with the PSA on production, distribution and sponsorship opportunities. I personally believe the sport has tremendous potential and the partnership is structured in such a way that it allows us to bring our full set of skills and services to the party and over time take the product to completely new levels. 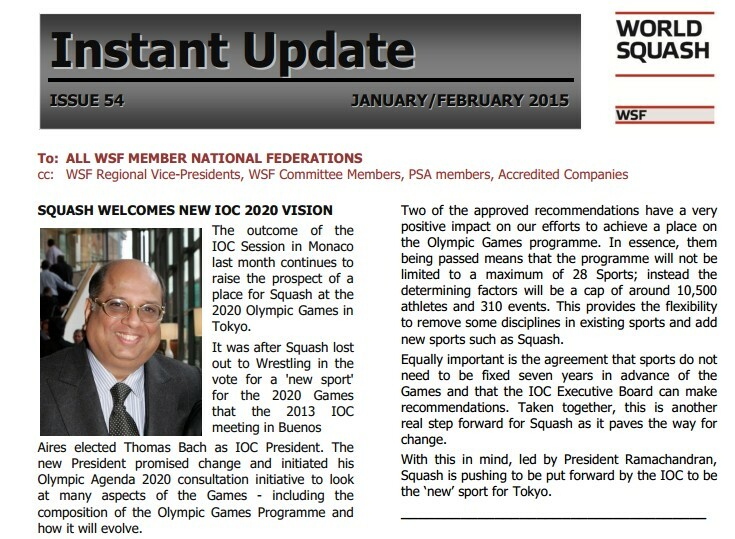 He added: “Our first goal will be to widen squash’s appeal by strengthening distribution and quality of production. Creating live images of all the major events will be a big step in the right direction. Once that is done, I believe broadcasters, sponsors and promoters will take a new look at the sport. “With the flexibility of taking glass courts to very unusual places, this is perfect to create unique TV images. Events are already being held next to the Pyramids, in Central Station New York, Palacio Real de Madrid, etc. Which other sport can do this? Not many,” Luer suggests. The PSA’s CEO, Alex Gough commented on the new partnership: “We are delighted to team up with TSA and S&V to take Professional Squash to new levels. The arrangement provides the PSA with a solid backing, strong partners and will be a new beginning for the sport. Together with our initiative to stream games on internet TV, we are developing a series of changes that will radically improve the way people can view squash. Having innovative, global live coverage will undoubtedly take the sport forward and open up new opportunities for the players and promoters. The new partnership will see TSA & S+V take over production and distribution of the top 13 Professional Men’s events. The 2010 Tour kicks off on Jan 18th 2010 with The Tournament of Champions at the Grand Central Station in New York. 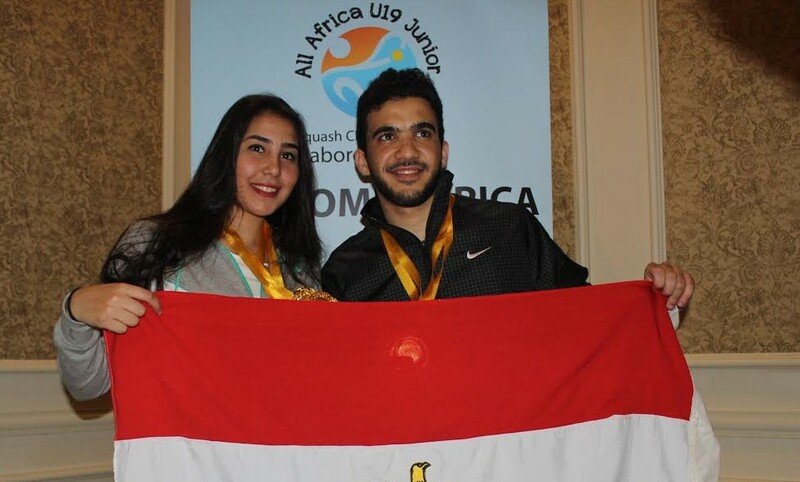 It also intended that several of the events will also be co-sanctioned by the Women’s International Squash Players’ Association (WISPA) and will see coverage of the women’s semi-finals and final as well.